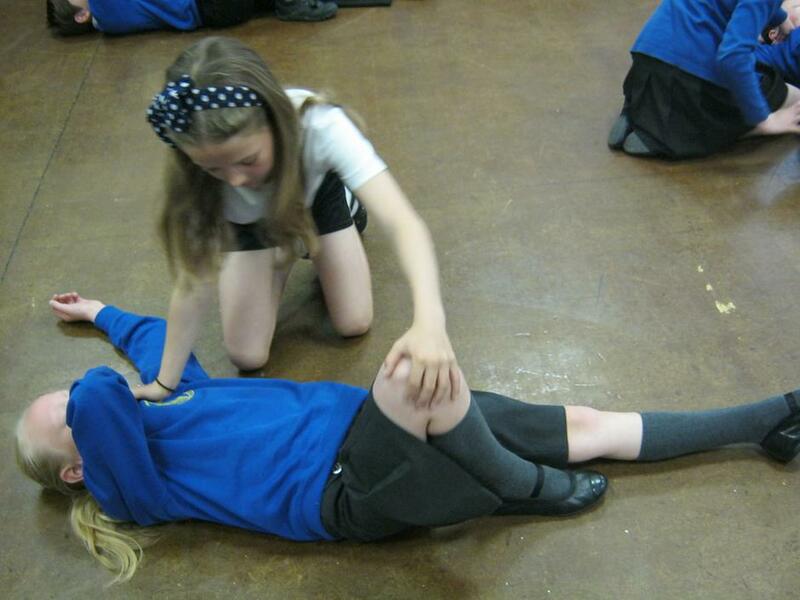 First Aid Training for Year 5 and 6 Children. 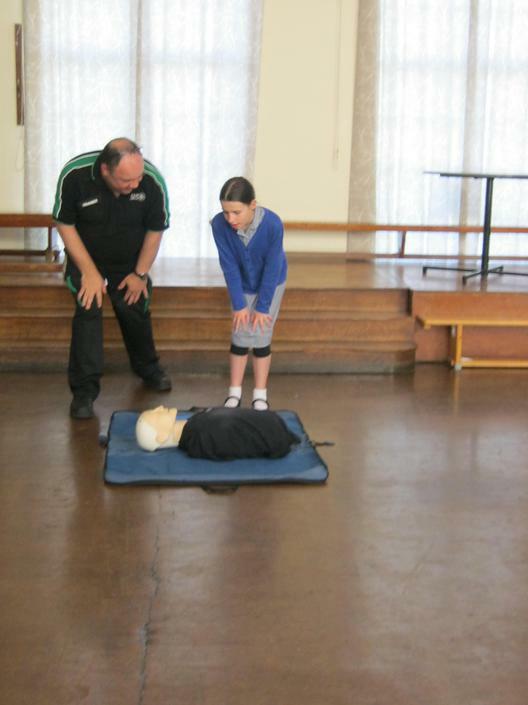 We began the training in the school hall where we learnt the ‘Primary Survey’ that is carried out with every casualty. 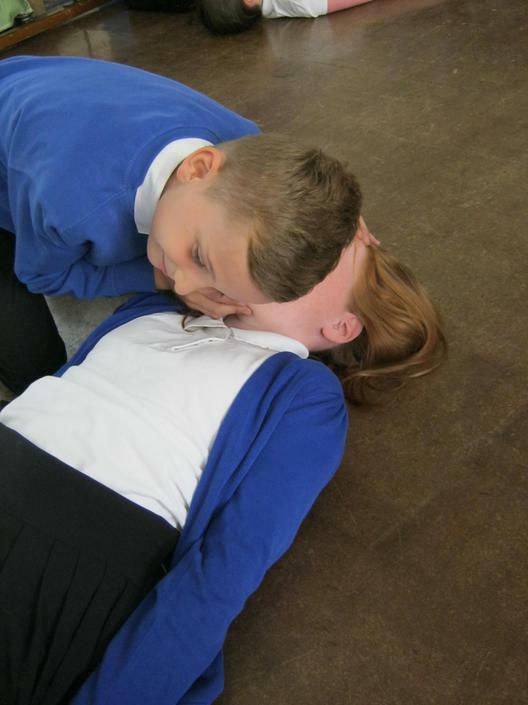 After discussing the procedure to follow, we got into pairs and practised, one of us was unconscious and the other was the first aider and then we swapped. DANGER – check for danger, trying to find out what has happened YES / NO? RESPONSE – approach at their feet, speak to the casualty (introduce self and say come to help), go to head (command of ‘open your eyes’), tap casualty on the shoulder and inform them you are doing that) YES / NO? IF WE DID GET A RESPONSE THEN WE CAN STOP THE PRIMARY SURVEY! BREATHING – check for ten seconds, looking at the stomach to see if it is going up and down, listening for the breathing on the side of your face YES / NO? 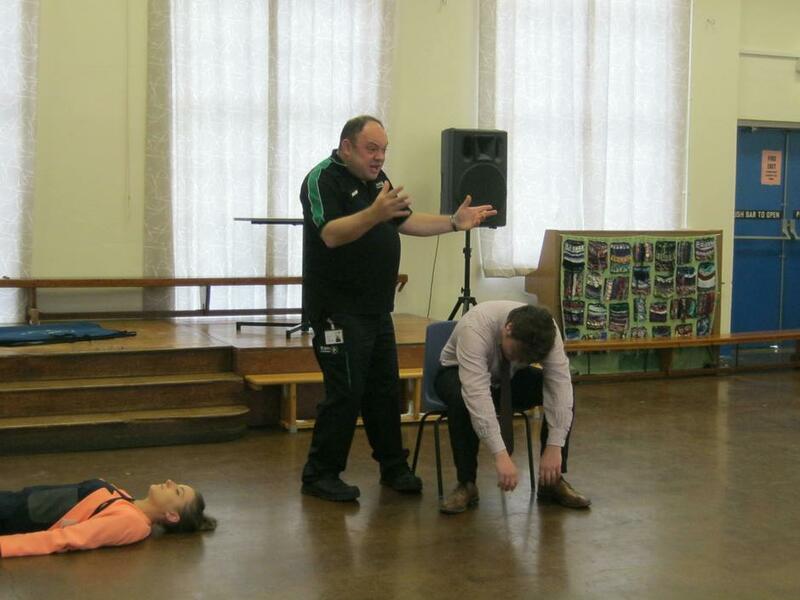 ALWAYS DEAL WITH THE UNCONSCIOUS CASUALTY FIRST! Then we went back to the classroom and discussed making a 999 emergency call. We listened to a 999 call so we know what questions the operator asks the caller. 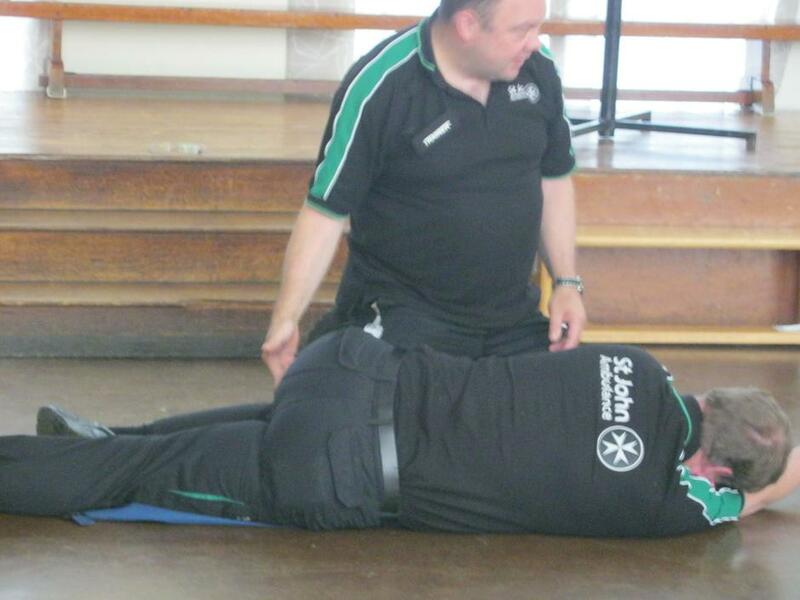 You will call 999 after assessing a casualty using DR ABC. Which emergency service? (Police, Ambulance, Fire & Rescue, Coastguard, Mountain Rescue, Cave Rescue) You can ring 112 which is a European emergency number. Both numbers are free. What’s the problem? What actually happened? What’s the address? What’s the telephone number you’re calling from? Are you with the patient now? How old is the patient? Is the patient conscious, awake? Is the patient breathing? Is the patient completely awake? 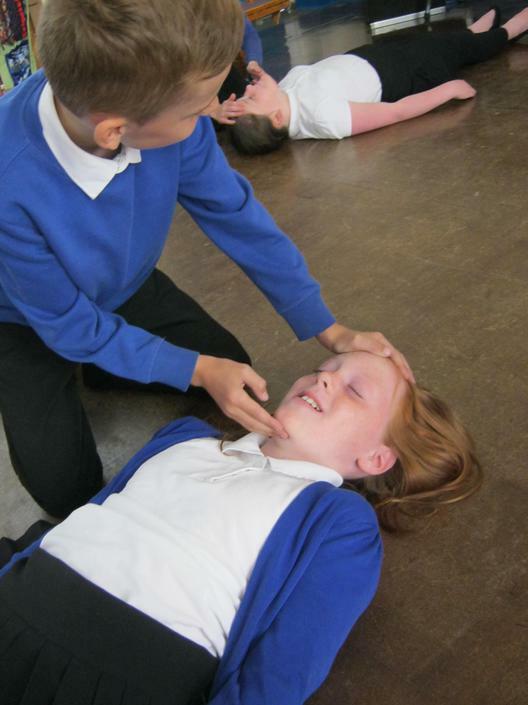 Is the patient breathing normally? What part of the patient’s body is injured? Is there any serious bleeding? When did this happen? We learnt that if you are not sure of the seriousness of the situation then you should call 999 and they will help you out. It is an offence to fake call 999 or 112 and pretend something has happened. 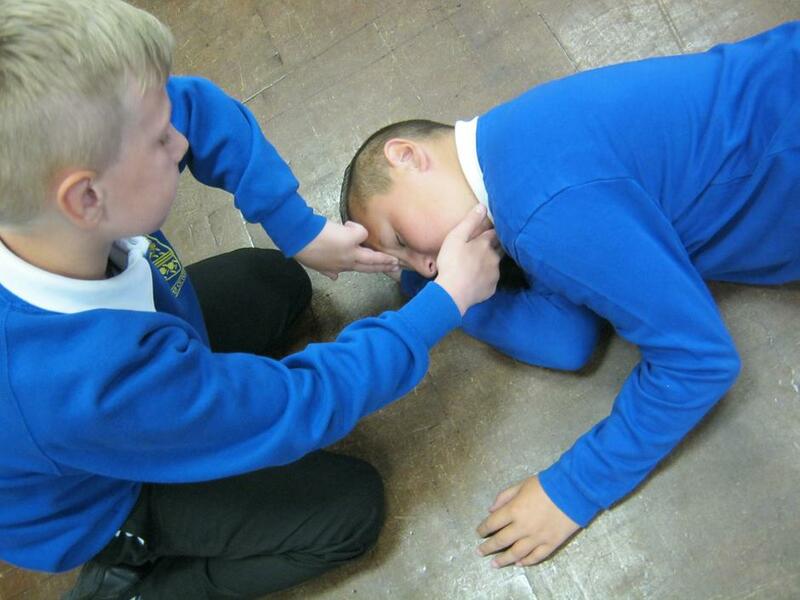 After this we learnt about different situations that we could have to deal with. This was fainting, asthma attacks and choking. 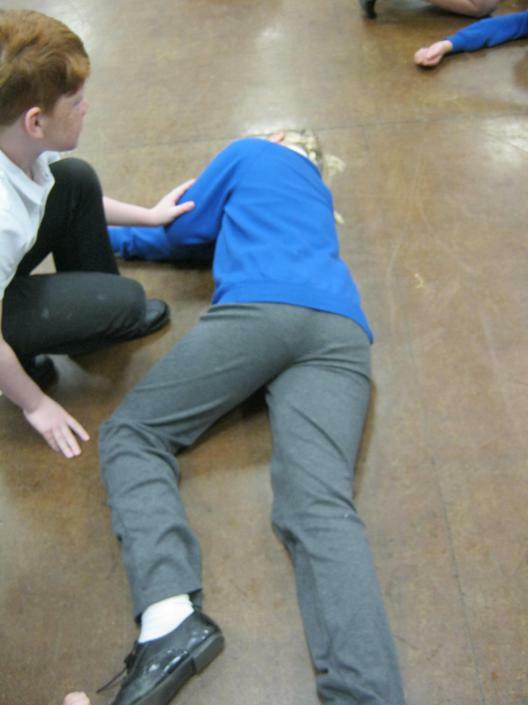 FAINTING: Keep talking to the casualty, get more blood to the head by picking up legs from the feet. We watched a clip of a gentleman who had an asthma attack because he was breathing in dust. In pairs, we completed a sheet about ‘triggers’ for asthma attacks, what we’d see or hear and what treatment we would give. ASTHMA: Sit child on a chair, like they’re riding a horse, with their arms relaxed over the back of the chair. Try to keep the child calm and relax them. Give the inhaler to the child if they have one to take one or two puffs. If it doesn’t work, wait two minutes before they use it again. This can happen ten times. If it isn’t working then the child needs to go to the hospital. A preventer inhaler is taken daily to prevent an attack. A reliever inhaler is used when a trigger has triggered off an attack. We next watched a video of someone choking when eating. CHOKING: Ask the person if they’re choking. If the person can talk, they can breathe so they haven’t got a full blockage. If they don’t respond then they are choking. Ask the person to cough and then give the person up to five back blows with the heel of your hand and up. 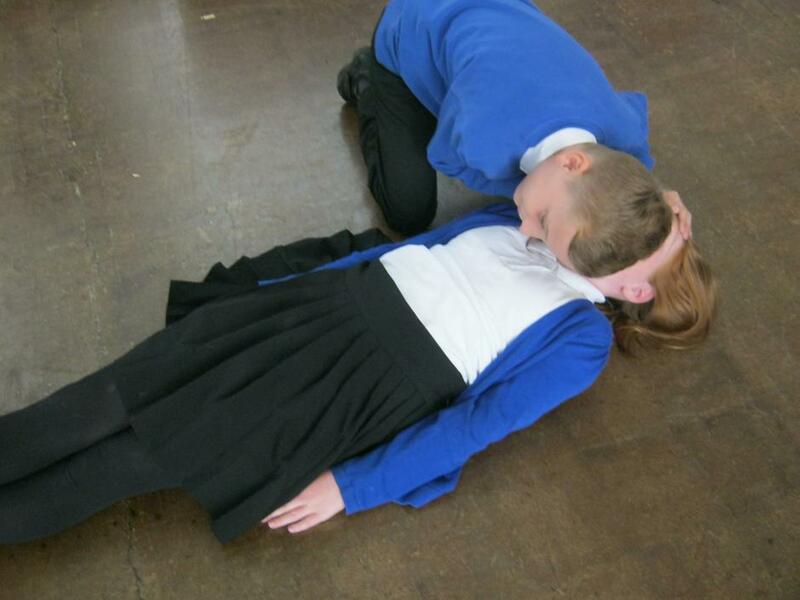 If the hazard hasn’t been removed then you can do up to five abdominal thrusts. From behind the person, link hands underneath the diaphragm and pull in and up, squeezing the air against the blockage. 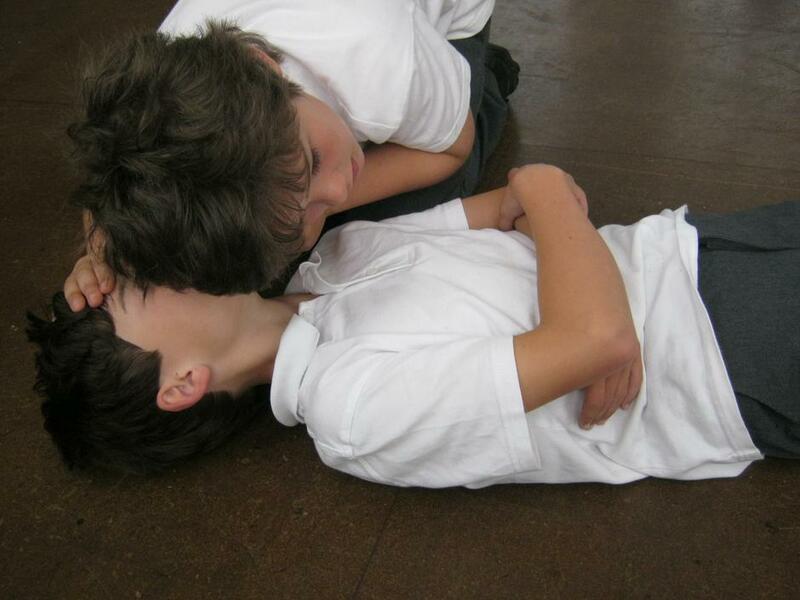 Back blows and abdominal thrusts can be repeated. 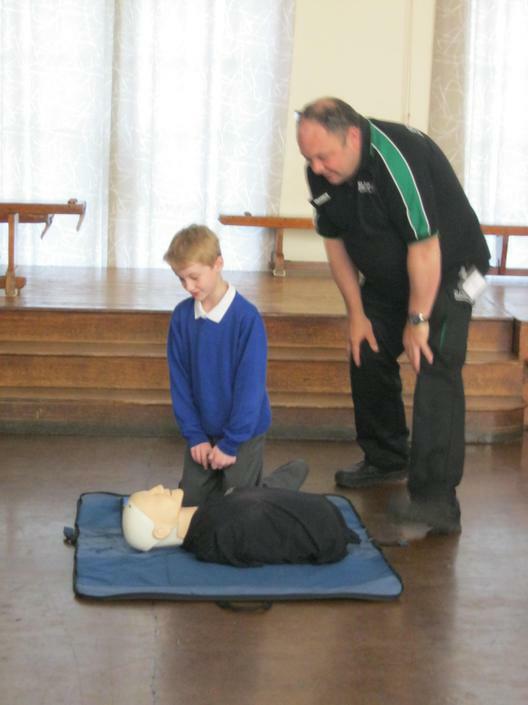 We have learnt that you do not need a first kit to complete a lot of first aid procedures. However, it is important to have a first aid kit to help. A first aid kit is a green box with a white cross on it. All items need to be in date and not expired. 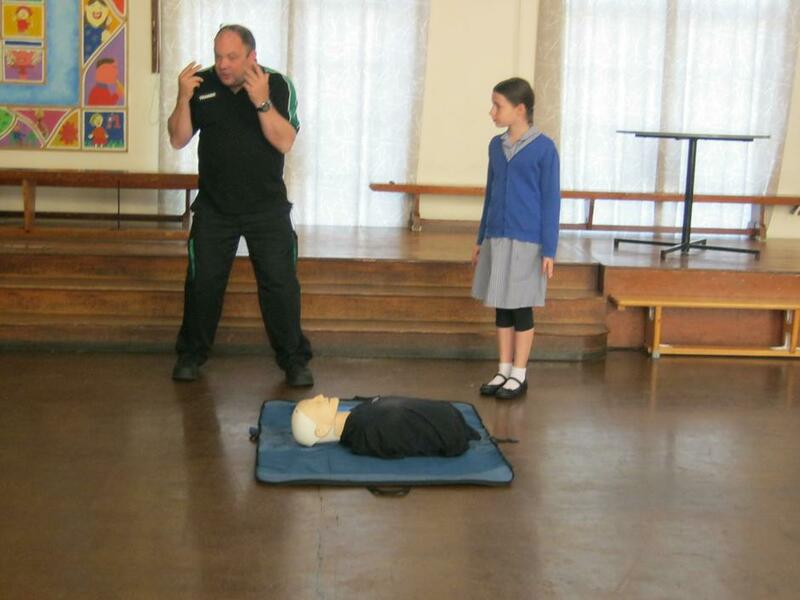 Don was great at informing us about first aid and ensuring that we understood everything clearly. He always checked our understanding by giving scenarios and asking questions. 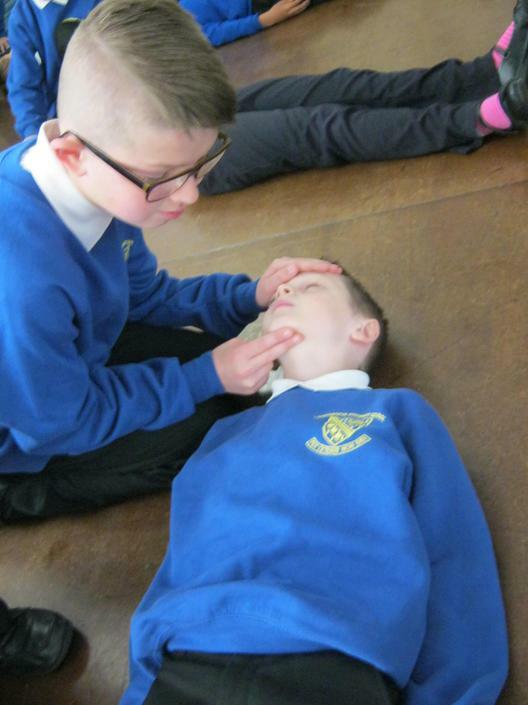 We learnt a lot and now feel more confident about first aid. 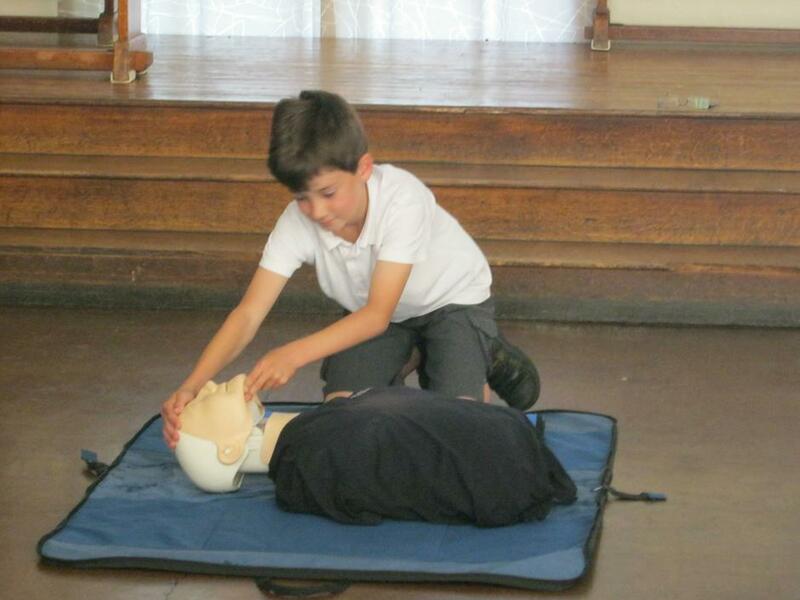 Thomas : I have learnt a lot about first aid that I would probably never know or learn. Daisy-Mai : After this morning I feel more confident in treating an unconscious person. Taylor : This morning was very informative. Kate : I now know what should and shouldn’t be in a first aid kit. 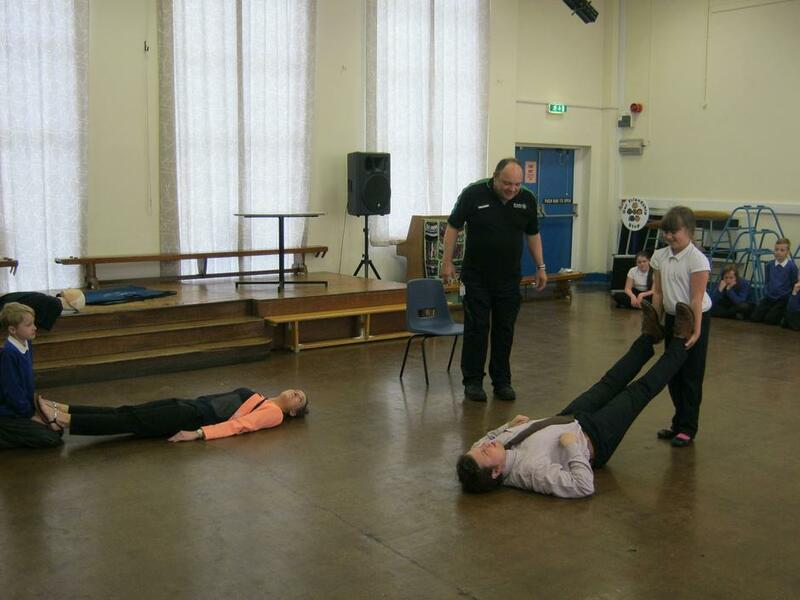 It was an excellent morning and the children behaved superbly – as always.